Jatujak is popular in Thailand as it's a weekend market that spans 35 acres (yes, it's probably the biggest weekend market there is). 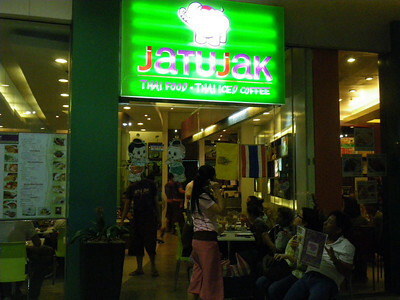 Jatujak is also there name of a Thai restaurant at SM Mall of Asia supposedly serving the most authetinc Thai cuisine there is. It is located at the second floor near Tom's World, the bounce play area and all things baby/kids. The building where it's at faces the musical fountain of the MOA Park. 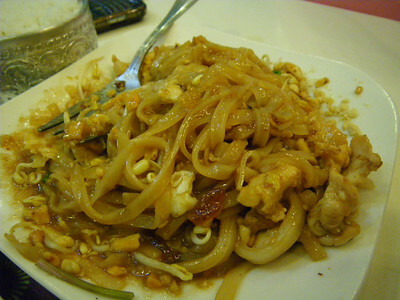 Pad Thai, which looked yummier to me when it was already mixed. And this was very good too. They ask you if you want chicken or shrimp with it. This had chicken. 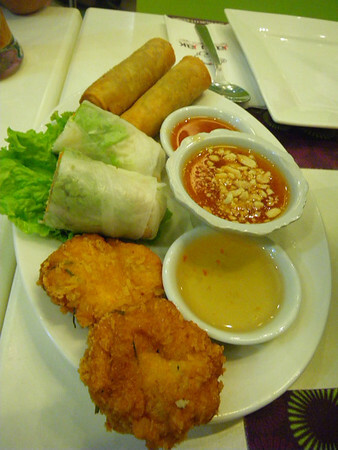 This is like a spring rolls sampler. The shrimp croquettes were delish! 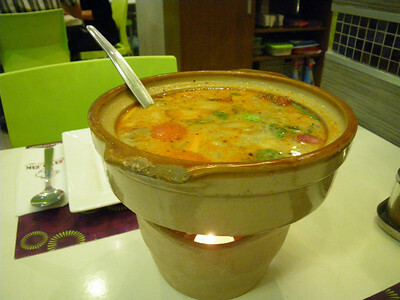 Their small order of Tom Yum soup can adequately provide heat for 2-4 persons (depending on your appetite for HOT broth). You can also order it mildly spiced or regularly spiced. There are the usual condiments of chili in oil, dried/ground chili, sugar and vinegar on their tables anyway should you wish to further season your soup. 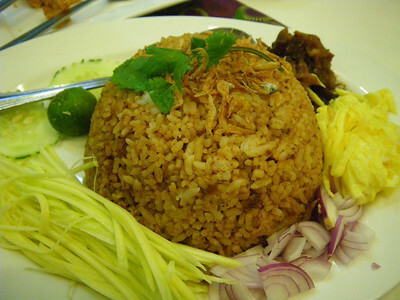 The reason we ate here: bagoong rice. At P155, it can adequately fill two people because it is a much bigger serving than the one they serve at Makansutra Asian Food Village. I actually prefer Makansutra's (it's a little sweeter and 'lighter' for me) but this kind of bagoong rice can be really quite addicting. I just loved it. 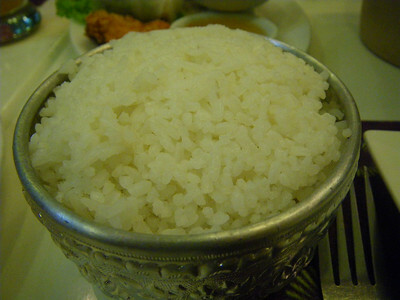 I'd suggest sharing it with someone else, and I don't know, maybe adding some plain steamed rice to it if you want to cut down on your possible sodium intake (but it's not that salty, I'm just suggesting 'coz that's what I do). Usually, when I order this dish, I just really eat the rice (and maybe the egg) and someone else eats all the meat and green mango. I would say Jatujak servings are big which we failed to anticipate. 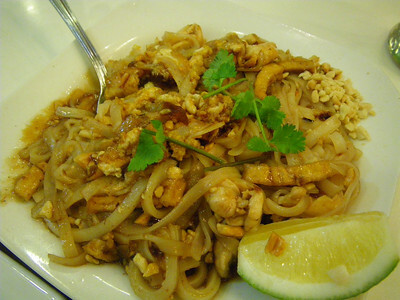 I am not really adventurous with food and not a fan of Thai cuisine but I can just as easily Filipinize my way of eating here by coming back for more of their bagoong rice and pad thai (yup, carbs on carbs). Oh and I just love the pretty girl at the door who was so charming when she asked us to wait for a table. The staff was really accommodating and quick on their feet. It also doesn't take long for food orders to arrive (well, maybe because they don't really have much guests to cater to as their place was small). Ambience of the place was nice but not really for people with young kids like we did. Not quite sure if Thai ingredients and too much Thai food will get you Googling "glucosamine chondroitin msm" but I really highly recommend the place for those with a taste for Thai dishes. 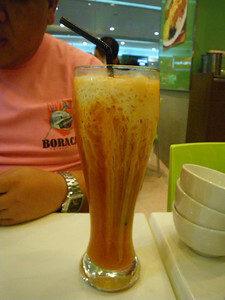 So make sure to check out Jatujak at SM Mall of Asia (Phone Number: 556-0850, 0917-8872413).